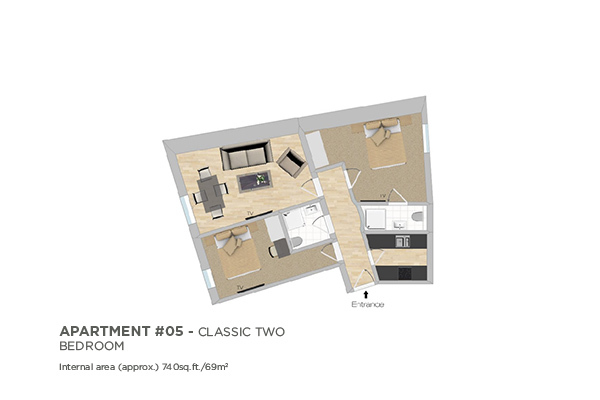 With only five two bedroom apartments in 1 Harrington Gardens, these are some of our most sought after residencies. Our two bedroom apartments normally have a king size bed in the master and twins in the second bedroom. In some cases, the twin beds can be configured as a second king size. If you have a preference please let us know when you book. Each apartment has two bathrooms, one en-suite and one family bathroom. These residences offer excellent value for a family or two couples. The apartment can accommodate an extra rollaway bed for a fifth guest for a supplementary fee of £30 per night. These two bedroom apartments are very popular so please book as early as possible to avoid disappointment. 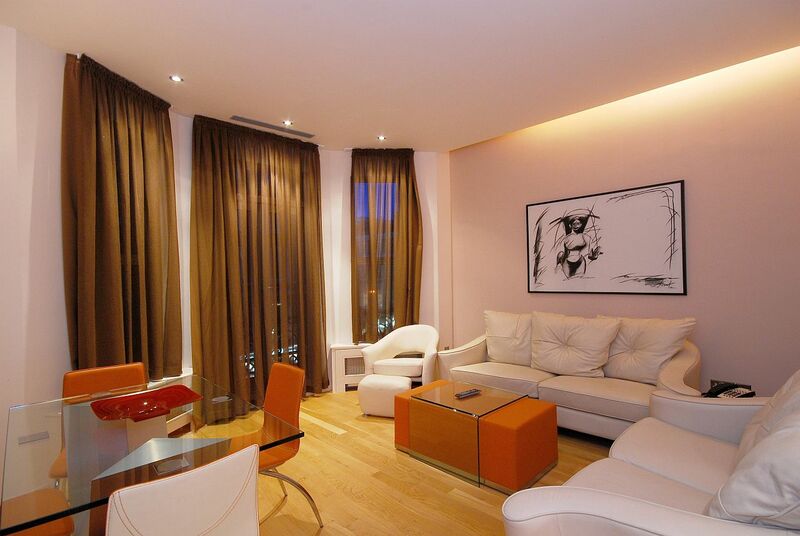 We also offer interconnecting one bedroom apartments. Enquire by calling us on +44 (0) 207 3415 800.